From apps to dinners, we’ve got something for everyone looking to add spice to their life. You want to know who’s the real hero in your kitchen? Taco seasoning. See for yourself with these killer recipes that bring serious sizzle to the table. Taco meets egg roll, is this real life? It sure is, and you’re in for a treat. Spice up your weeknight dinner routine and make a batch. Pro tip: don’t forget the guac. 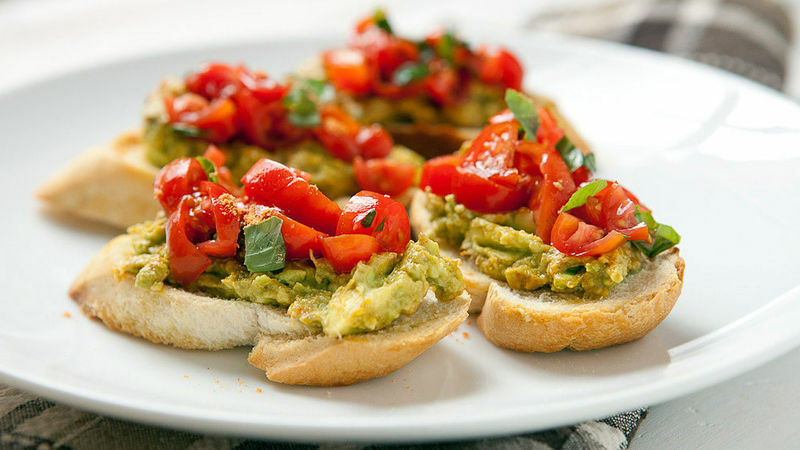 Forget avocado toast, avocado bruschetta topped with a fresh tomato salad is where it’s at! This insanely simple recipe is an unexpected twist on the classic appetizer and begs to be served with a pitcher of margaritas. A one-pot meal ready in 40 minutes that everyone will love? Yes, please! This easy, cheesy dish uses taco seasoning to liven up pasta night and save on dirty dishes. Because less time spent cleaning up means more time doing whatever you want (hello, Netflix). Ordinary deviled eggs run the risk of being such a boring appetizer that no one wants to eat them. Avoid that by adding a spicy kick to your platter with these genius taco-inspired deviled eggs. If you’re looking for a bite-size app with big flavor, these are it!